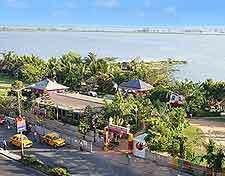 The following comments about attractions in Kolkata have been posted from individuals. We believe that the best reviews of Kolkata, India are written by travellers and holiday makers who have experienced Kolkata first hand and want to share their thoughts. Can you share yours? Please help us expand this section of our Kolkata World Guide. 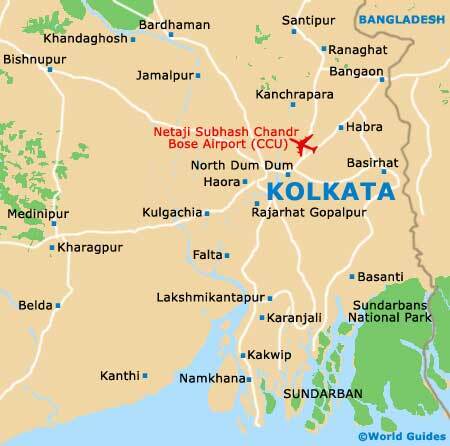 Let us know what you think about the attractions in Kolkata, India. Submit comments about Kolkata attractions here. Fascinating history and culture. Enjoyed walking in the gardens after looking at the artwork. The paintings are beautiful but I couldn't take any photos because photography is not allowed inside the building. I thought that the ticket price was worth it for this attraction. The walking tours are amazing and because they are available all year round it was easy to fit a tour into our schedule. We saw so many sites, that were not mentioned in any guidebook, and it was interesting to see the city through a local's eyes. Our guide knew a lot about the city's history and the people who live there. I recommend going in the morning because the city becomes hot and crowded later on in the day. While you are at Mother Theresa's Home you can also went go for a walk around the monastery, which offers an escape from the busy city. My visit to Mother Theresa's Home was moving and I got to read more about her life, as well as visit her tomb. I spent 45 minutes there before going to a nearby restaurant for lunch. Don't forget that the home is closed on Thursdays. Our children loved the musical fountain show and entrance was free so it was a great bonus after a day of paying for the family to enter different sites. The show starts around 7pm and make sure that you get there a bit early to get a good spot. For 15 minutes we watched the cascading water lit by different colours and choreographed to music.